Our Aqua-Paws Underwater Treadmill gives us the ability to use resistance and buoyancy of water to increase strength and improve body condition. Jets are used to increase resistance and perform self-hydrotherapy. It is also useful in conditioning programs for canine athletes preparing for competition, hunting dogs getting ready for the new season, or geriatric dogs that just need to build or maintain strength. As part of any physical rehabilitation, following injury or surgery, we target specific muscle, tendon, and ligament groups to facilitate the earliest possible return to function for the patient. 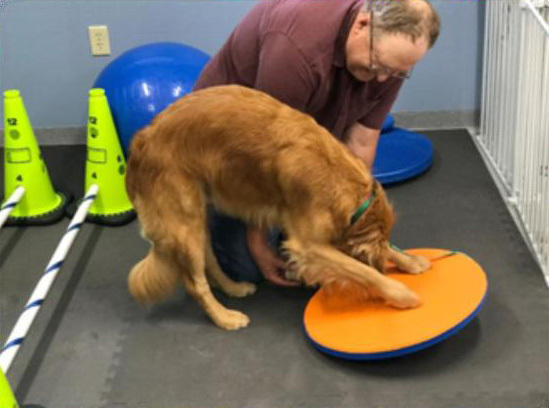 We use a variety of techniques, such as cavaletti poles for proprioception and gait re-training, inclines, boxes, physical stretches, patterns around cones, and unstable surfaces. The level and intensity are adjusted based on where the patient is in their recovery. 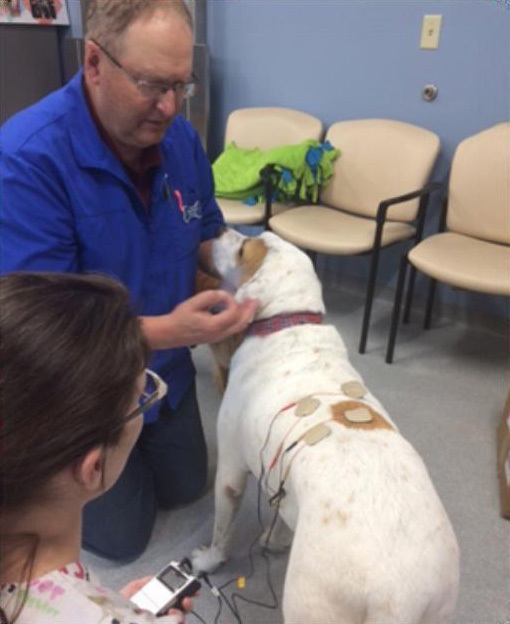 We work with the surgeon and referring veterinarians to come up with the best rehabilitation plan possible for your pet. Electrical stimulation and neuromuscular electrical stimulation are the applications of electrical impulses to the muscles and nerves producing contractions and neurofeedback to the nerves. This is most commonly used in patients recovering from neurological injuries (such as disc disease, surgery, or spinal embolisms.) It can also be used to speed up and improve the function of muscles damaged by fractures, surgery, or trauma. It can also be used to reduce swelling and provide pain relief.